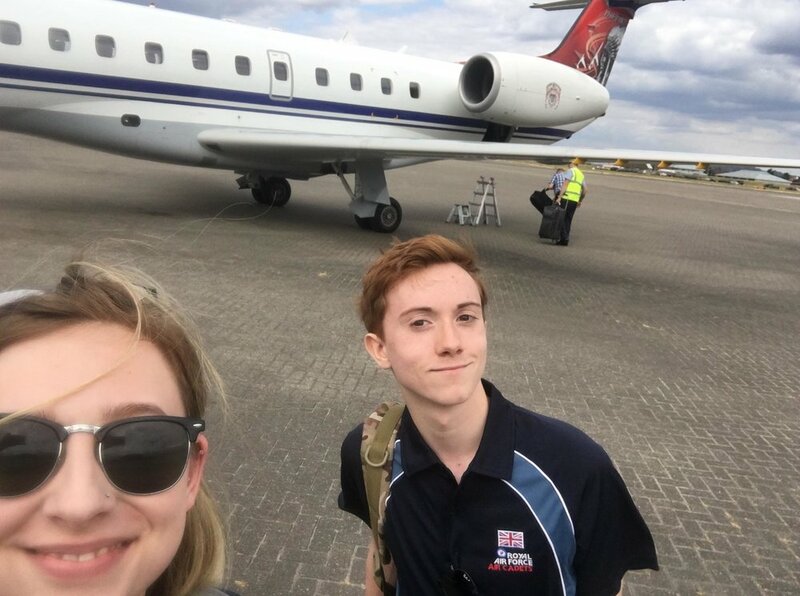 Below is a lovely report written by a Cadet who represented 878 (Highworth) Sqn and the RAF Air Cadets the International Air Cadet Exchange in Belgium. “In July 2018, I was selected to attend the International Air Cadet Exchange in Belgium. 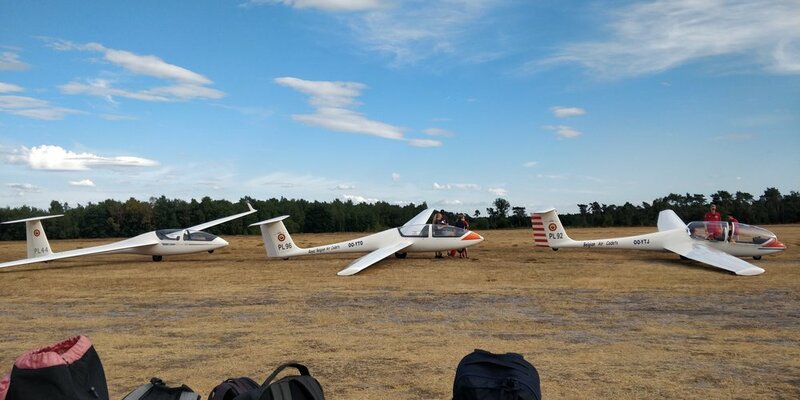 Representing not only 878 (Highworth) Sqn, but the entire RAF Air Cadets in a two-week program along with Air Cadets of 8 other nations – an event many consider the pinnacle of what the RAF Air Cadets has to offer. I joined cadets and staff from: America; Australia; Belgium; Canada; France; Germany; Hong Kong; Switzerland and the United Kingdom. I was part of 25 strong group spending 2 weeks in Belgium, with one shared aim; To Share, Promote and Encourage our passion for Aviation. On the 17th July, I travelled out from RAF Northolt on one of the Belgian Monarchy’s private jets with our destination to be Brussels – I even sat in the cockpit for the return flight! From there I met with my peers I would be spending the week with – we instantly made friends with each other. The programme involved aviation related activities, such as: Gliding with the Royal Belgian Air Cadets, Low-level flying in an Augusta A109, walking across the wings of a C-130 ‘Hercules’, visiting the F16 Air Base at Kleine Brogel and watching the take-off and landing of a dozen Aircraft – just a few meters from the runway! I also had the chance of experiencing the culture of Belgium; with guided tours of the cities of Brussels, Bruges and Antwerp, Kayaking down the river Lesse. All the towns we visited, the cadets were greeted by a reception at the town halls, which made the trip just the more special and prestigious – proving the reputation the exchange holds. Of course, we couldn’t go to Belgium without learning more of it historical importance in First and Second World Wars. 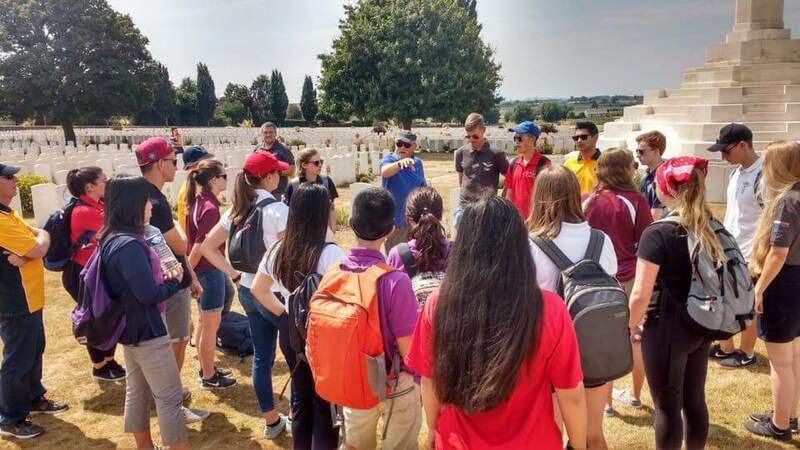 The exchange included visits to the Tyne Cot Cemetery, the Ardennes Museum and the Menin gate (where we attended the Last Post) – just to name a small selection. On the weekends during my stay, I stayed with two amazing host families – at the houses of cadets currently in the Royal Belgium Air Cadets. With my hosts, I further experienced the culture of Belgium in the comfort with those who know best. I tried indoor skydiving, Belgian Waffles, French Fries (yes, they’re from Belgium) and, of course, Chocolate. I also saw the King of Belgium in the Belgian Independence Day Parade. Favourite Activity? The Gliding! I experienced both a tow and winch launch during the exchange – such an exhilarating activity.